Law Offices of Vivian H. Fazio, P.A. Vivian Fazio is an AV-rated litigator admitted to practice before all Florida state courts, and the United States District Court for both the Southern and Middle Districts of Florida. She earned her undergraduate degree from the University of Florida in Political Science and her law degree from Nova Southeastern University’s Shepard Broad College of Law. While at NSU, she served both the American Trial Lawyer’s Association (ATLA) and Moot Court, and enjoyed advocating at competitions against her peers at NSU and those from other law schools. 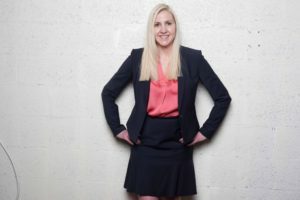 Prior to graduating, Vivian served as a Certified Legal Intern (“CLI”) with the Broward County State Attorney’s Office where she tried misdemeanor cases, and sat second chair alongside veteran homicide prosecutors on murder cases. Throughout her legal career, Vivian has litigated personal injury, products liability, medical malpractice, wrongful death, sexual assault, domestic violence, construction defect and complex commercial cases on behalf of individuals, businesses, and governmental entities as both plaintiff and defendant, and has been recognized by Florida Trend as a Legal Elite. Vivian is also a Florida Supreme Court Qualified Arbitrator. Aside from serving as Chapter Representative for the Broward County Women Lawyers’ Association, Vivian also serves as Chair of the Informed Voters Project for the Florida Association for Women Lawyers (FAWL). In 2016, Vivian was appointed by then-Florida Bar President Bill Schifino to serve a three-year term on the prestigious Civil Procedure Rules Committee of the Florida Bar. Her other professional affiliations include and have included the Broward County Bar Association, Broward County Trial Lawyers Association, Florida Justice Association, Broward County Hispanic Bar Association, National Association of Women Judges and the American Bar Association. She also serves on the Board of the Broward Women’s Alliance and St. Gregory the Great Women’s Guild.